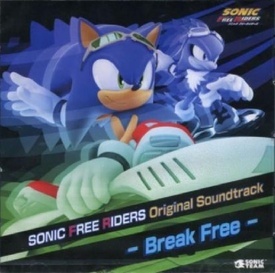 Sonic Free Riders Original Soundtrack: Break Free is a one-disc soundtrack containing the music to the Xbox 360 Kinect game Sonic Free Riders. Included is a single bonus track re-recording the vocal theme for the game with Jun Senoue's band Crush 40. Originnal Game "Sonic Free Riders"
This page was last edited on 3 February 2019, at 20:08.